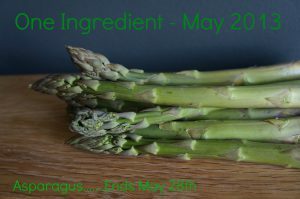 Home » Blog » Asparagus Addicts Anonymous! It is serious. I cannot walk past a bunch of asparagus without buying one. It’s the same this time every year. The price drops to 2 Euros and I am compelled to purchase them. It’s affecting my relationships with other vegetables. I am out of control! But it comforts me to know that I am not alone. There are many of us out there overwhelmed by our asparagus urges. I am one of many food bloggers who finds themselves inspired and captivated by the delicate green stems. Oh yes, we are asparagus addicted for sure! I think you can be very creative with asparagus. They work in so many dishes or even just on their own with a multitude of varied dressings, sauces or cheeses. Just this week I had them in a risotto, in a beef salad, roasted with salmon and in a tart. So many different ways, all delicious and distinct. 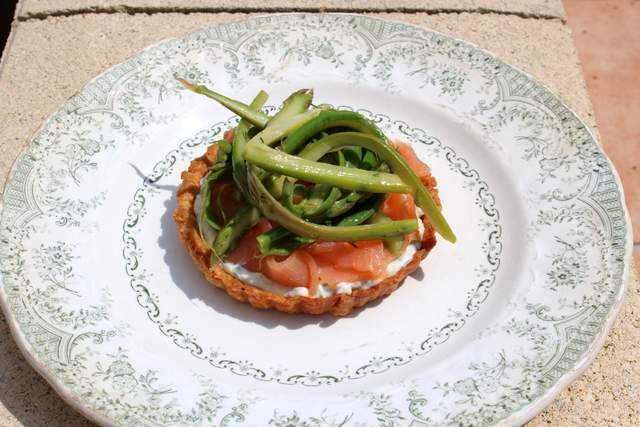 So I am going to share my Asparagus & Smoked Salmon Tartlet with you; a dainty, elegant dish, great for Summer entertaining or a light lunch. The pastry has a hit of parmesan running through it, filled with some cream cheese peppered with shallot, lemon zest & dill. Then ribbons of silky smoked salmon are wound around like petals of a flower and finally topped with thin strips of asparagus dressed in a lemony dill vinaigrette. Pretty as a picture and truly tasty too! I am lazy so I usually use shop bought pastry at home as its such good quality and so quick to use. But on this occasion, I wanted to add a hint of parmesan so I made my own. It really didn’t take long at all and it made me wonder why I usually cheat! The resulting pastry was perfectly crumbly and delicious and worth every extra minute. I wanted to get my asparagus strips really thin so they could be moulded into a pile to sit atop my tartlet so I tried using a swivel peeler to achieve ribbons. It worked up to a point and then it became tricky so I had to resort to knife skills and cutting them manually as thin as I could. You can do whatever suits you but just ensure they are super thin. To make your pastry, sift the flour into a bowl with the salt. Cut your butter into cubes and add to the bowl. Use your fingertips to rub the butter and flour together, as if making a crumble topping. Once evenly crumbly, add your parmesan and sprinkle in 2 tablespoons of cold water and bring the mixture together with your hands to form a ball of pastry. Put it in a plastic bag and place in the fridge for 30 minutes to rest. Meanwhile, prepare your tart filling. In a bowl, combine the cream cheese with the mayonnaise and add the chopped shallot, lemon zest and dill. Set aside. Prep your asparagus by snapping off the woody ends. Then cook them in boiling salted water for 5-8 minutes. Drain and cool a little. Then use a swivel peeler to create ribbons as far as you can. 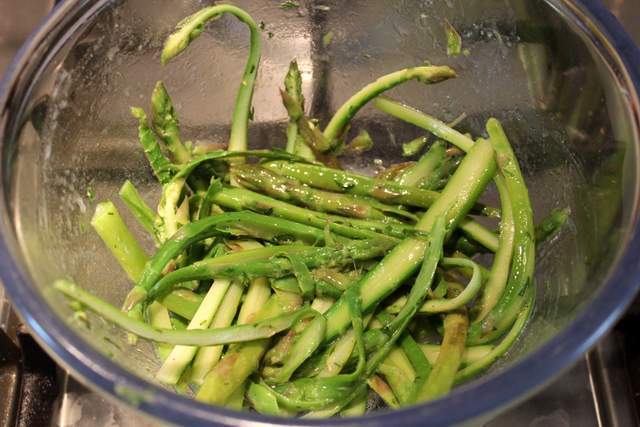 If you can’t shave the entire stem of the asparagus, use a knife to cut the remaining into super thin strips. Make the dressing by whisking all the ingredients together. Dress your asparagus ribbons and season them. Pre-heat your oven to 190F/200C. 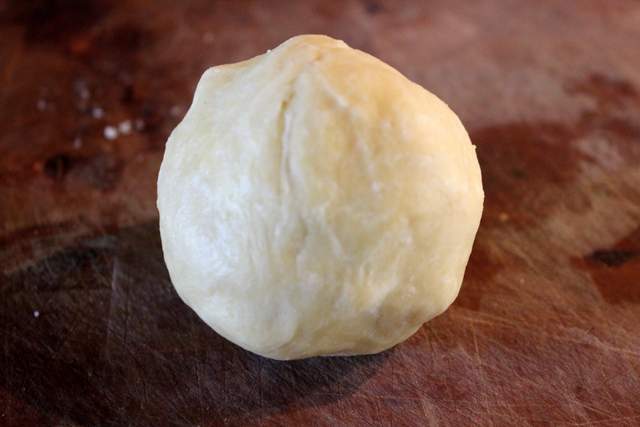 On a floured surface, roll out your pastry nice and thinly. Cut out circles to fit your tartlet cases and press in to the tins. Place a little circle of baking paper in each and pour in some baking beans. Bake in the oven for 15 minutes. Then take them out and remove the baking paper and beans and put back in the oven for a further 10 minutes until cooked through and golden. Set them aside to cool down. Once your tartlets have cooled down, place a tablespoon of of the cream cheese mixture into each and spread out evenly. Take strips of the smoked salmon and wind them round the tartlets all the way to the center. Take a handful of asparagus and mould them round in your hand and then oile them on top of the tartlets to achieve a little height. Drizzle over any left over dressing from the bowl. Serve in the sunshine! I am delighted to enter this dish into this months Herbs On Saturday blogging challenge, hosted by little old ME! This challenge is the baby of Karen from Lavender & Lovage and is one of my very favourites! Always full of fantastic entries, come and get involved. 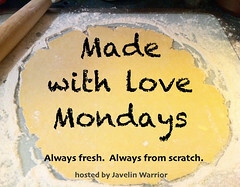 And I am also entering this into Javelin Warriors Made With Love Mondays, a weekly challenge for recipes that are entirely made from scratch, as this one was! I am also entering these Tartlets into the One IngredientChallenge which is Asparagus this month. Co-hosted by lovely Laura and Nazima from How To Cook Good Food & Franglais Kitchen respectively. 19 Comments on "Asparagus Addicts Anonymous!" What a lovely starter, Anneli! I’m also a big fan of asparagus and it sounds so good with smoked salmon and cream cheese. And love the use of parmesan in the crust! Thanks Mark. The pastry was wonderful and worth the extra effort. I should do it more often! 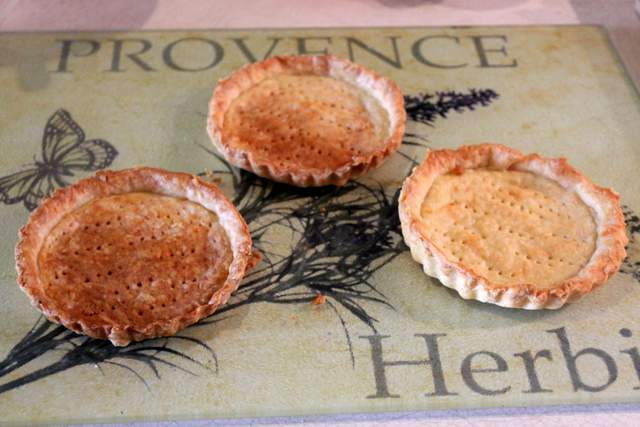 Hi Anneli – your tarts looks absolutely lovely! I guess they would make gorgeous little “amuse-bouche” kinda things if you made them in miniature as well! I too love asparagus, but please God, not that revolting white stuff. The French go nuts for it, the Germans go nuts for it… I can’t stand it. It’s bitter, it’s tough, it just lacks any appealing qualities and I’ve never seen it served in a pleasant way at all! Wow those are beautiful, I love making pastry and yours look perfect. I am the same about asparagus and have been enjoying them lots recently. They also are so beautiful! 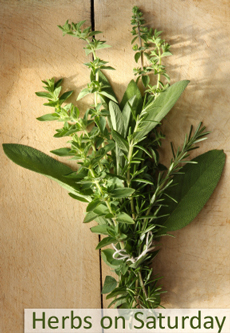 Would you consider adding them to One Ingredient as well as your lovely parcels?!! This dish looks great photographed on this ‘Provence-looking’ plate. Sigh.. I really miss the local food markets in France, especially buying the Langoustines nestled in their little shells! Hi Fran – I have a plate problem! I can’t stop buying them!! I love looking round the local Vide Grenier and picking up beautiful old kitchen plates and dishes. I have so many I may need a new kitchen for them all soon !! I live and love and cook in Cape Town in South Africa and am visiting my two sons here in Paris for this month. I have been overwhelmed by the fabulous and very cheap asparagus that is now in season and it is the first time I’ve cooked the white ones. I made a risotto and peeled and sauted forever, but still ended up with chewy bits. Made your lovely little tarts with the smoked salmon. Lovely. Very pleased to have found you on the internet. Happy days in your kitchen. Hello Naomi, I am delighted to meet you too! Thank you so much for your kind words about my recipe. I have never quite got to grips with the white asparagus either. The green are so much more tender and flavoursome in my opinion. 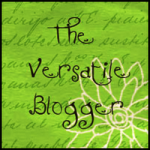 I am glad you like my blog and I hope I can keep you entertained with many more recipes. I cannot resist buying or eating asparagus either, but I don’t see it as a problem, the other vegetables will get their turn. I think we’ve all been making tarts lately, I still have a very different one to blog, but I’ve seen so many that I thought I would wait a while. I haven’t thought of filling a tart with cream cheese and a cool filling, this has made me think. Thank you for a lovely version. You are right of course and I am not exclusively asparagus although when it’s in season, I eat it 3 or 4 times a week. But like you say, why the hell not! I look forward to reading about your tart. Can you ever really have enough tarts? I’m addicted to asparagus too. Will try this recipe asap, there is still local asparagus here [southern Spain] thank goodness. 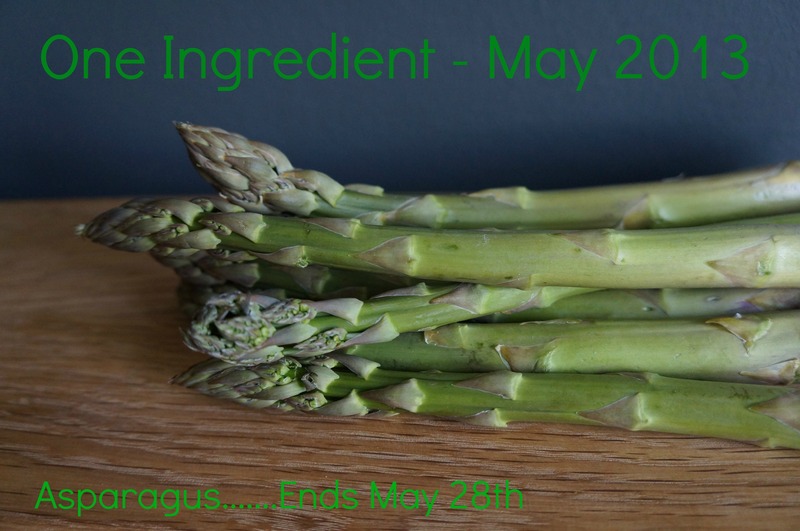 Check out my blog for some other recipes for asparagus addicts!